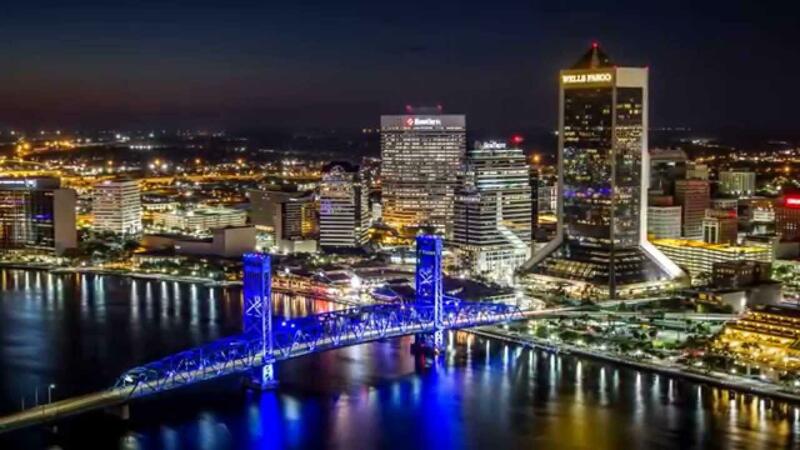 The prep football Class of 2020 in and around the Jacksonville may be the best this area has ever produced. Numerous local prospects have already committed to major Power 5 programs including Alabama, Georgia and Florida State. Many others are still mulling over their decision. Here is a look at some of the best area players who will star be under the Friday night lights in just a few short months. Bradley Ashmore, Offensive Tackle from Fletcher. Ashmore is one of the best offensive lineman in the area. He committed to play SEC football at Vanderbilt back on November 24, 2018. Kobe Baynes, Offensive Tackle from Sandalwood. Baynes has recently received offers from Arkansas, Florida Atlantic and Michigan. He has also been offered by Louisville, Ole Miss, Virginia Tech and others. Carson Beck, Quarterback from Mandarin. Beck is among one of the top five pro-style quarterbacks in the nation. He committed to Georgia on March 3, 2019. Derek Bermudez, Defensive Back from Sandalwood. Bermudez has recently secured offers from both Arkansas and Florida State. He also has offers from Florida, Georgia, Miami and others. Miles Brooks, Defensive Back from Trinity Christian. Brooks is a top 15 cornerback on many recruiting boards. He committed to Georgia Tech on March 24, 2019. Fred Davis, Defensive Back from Trinity Christian. Davis is considered to be one of the top five defensive backs in the country. He has offers from Alabama, Clemson, Florida, Florida State, Georgia and many others. Kyjuan Herndon, Running Back from Sandalwood. Herndon will be one of the best tailbacks in the area in 2019. He had numerous offers from across the country and recently committed to the Ole Miss Rebels on March 24, 2019. Tre’Vez Johnson, Defensive Back from Bartram Trail. Johnson has compiled an impressive list of offers, including Boston College, Colorado State, Nebraska, North Carolina, Virginia Tech and others. Javonte Kinsey, Wide Receiver from Sandalwood. Kinsey has recently received two in-state offers from both Florida Atlantic and Florida International. He also has offers from Cincinnati, Colorado State, Southern Miss and others. Devon Lingle, Quarterback from Fletcher. Lingle is one of numerous quarterbacks locally that will be playing college football in 2020. He has numerous offers, including Central Michigan, Cincinnati, East Carolina and South Florida. Xavier McGriff, Wide Receiver from Baldwin. McGriff currently holds many offers from around the country, including Boston College, Florida State, Nebraska and Ole Miss. Jalen Rivers, Offensive Tackle from Oakleaf. Rivers is considered to be a top 15 offensive tackle prospect nationally. He has a top five of Alabama, Florida, Florida State, Georgia and Miami. Jahquez Robinson, Defensive Back from Sandalwood. Robinson continues to do well at camps and because of that he has risen to a top 50 cornerback prospect nationally. Robinson committed to Alabama on February 18, 2019. Tyree Saunders, Wide Receiver from First Coast. Saunders is another prospect who is doing well on the camp scene and has a result of that continues to compile offers. Saunders currently holds offers from FIU, Southern Miss, Troy and others. Jeff Sims, Quarterback from Sandalwood. Sims is rising up the recruiting ranking boards and is now a top 25 pro-style quarterback talent nationally. He committed to Florida State on February 2, 2019. Donovan Thomas, Defensive Back from Oakleaf. Thomas is a part of what should be a terrific Oakleaf defense in 2019. He has offers from all over the country and currently has a top three of Georgia Tech, Kentucky and Virginia Tech. Chantz Williams, Defensive End from Oakleaf. Williams is among the top five weak side ends in the country. He has a top five of Alabama, Florida, Florida State, Georgia and Miami.